David Nelson can step down knowing the standards have been set high in his coaching tenure. 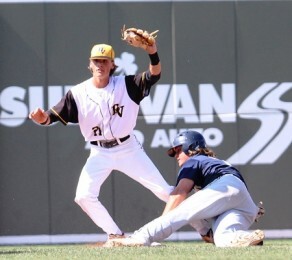 In his final day of action as manager of the Bishop Verot baseball program, Nelson and the Vikings fell short of the storybook ending of winning a state title in his swan song. Calvary Christian-Fort Lauderdale claimed the title instead, with a 12-1 victory in the Class 4A championship at jetBlue Park on Saturday afternoon. 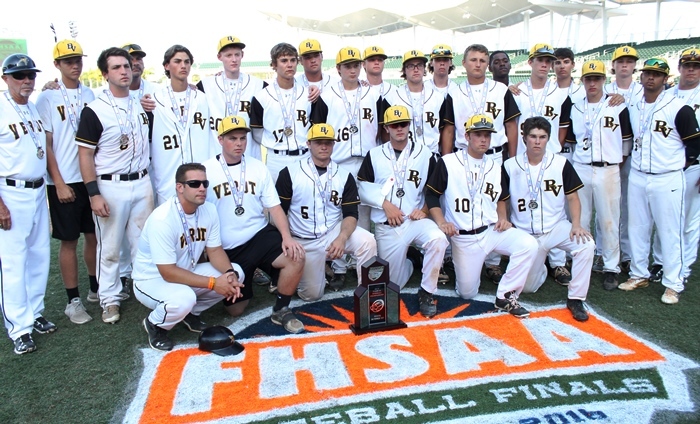 Bishop Verot (15-15) was left as the runner-ups, and while it is not the hardware the team hoped for it can take pride in knowing the program has lived up to high goals in continuing to pound away and reach the state Final Four. Recently Nelson announced he will be leaving the team, and he does so knowing it is a strong program. The championship game has been unkind to the Vikings in recent years, as three separate seasons they have fallen into a hole early and were unable to climb out of it. That was again the situation they faced on Saturday. The Eagles exploded right out of the gate to take control. George De La Fe blooped a one-out single over first base and Max Guzman launched a shot to the warning track for a double that put both runners into scoring position. Victor Pimental wasted no time in lining the first pitch through the left side to plate De La Fe and courtesy-runner Peter Carciopollo. A pair of passed balls advanced Pimental to third base, and Tommy Orr lined an RBI single into right field for a 3-0 lead. Calvary was just getting started, as it batted around the order to grab a 5-0 lead. Luis Ezra smacked an RBI double to right field and then came in as well thanks to an RBI single up the middle from Brett Lawson. The defense wasted little time getting into the action too. Bishop Verot leadoff hitter Gunnar Byrd worked a walk but the Calvary defense converted a smooth 4-6-3 double play to erase the runners and maintain the momentum. With their foot on the pedal the Eagles kept adding on to their lead. De La Fe lined a hard liner back off relief pitcher Devyn White, who then had to be removed from the game due to injury. De La Fe immediately stole second on reliever Drew Dwyer, and scored when Pimental ripped a double past the third baseman. An sacrifice bunt from Orr pushed Pimental to third and a passed ball allowed him to come home. Calvary increased the lead to 8-0 with a run in the third. Christian Scott walked, stole second and advanced to third on a 4-3 ground out from Rozenblum. A passed ball then brought him home. After the Eagles put up another four runs in fifth, the Vikings got going with their final swings to get on the scoreboard and avoid the shutout. 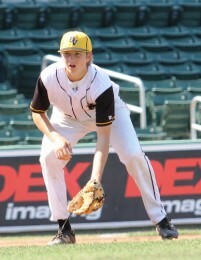 Mike Green lined a single over the shortstop and moved to second when Matt Cedarburg worked a walk. Jack Archambult got a grounder to the right side to move them over and Byrd sent a pitch deep down the right field line for a sac-fly RBI that drove Green in. Calvary starter Noah Yager went the distance for the complete-game victory. The right-hander struck out two while allowing four hits and two walks.